Lock in a great price for Familien- und Freizeithotel Gutshaus Petkus – rated 8.6 by recent guests! 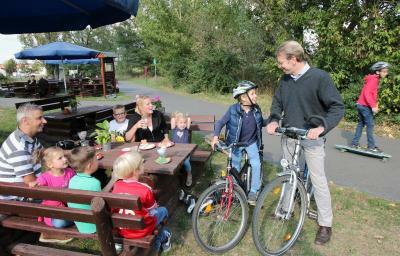 Featuring free Wi-FI, a garden and a bicycle/skate rental service, the Familien- und Freizeithotel Gutshaus enjoys a quiet location in nature. It lies directly next to Flaeming-Skate, a 124 mi cycle and skate path. Satellite TV and a private bathroom with a hairdryer are offered in the spacious rooms. 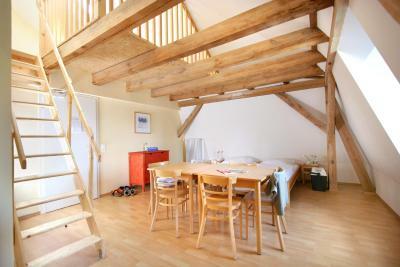 They all feature wooden floors, large windows and a bright color scheme. 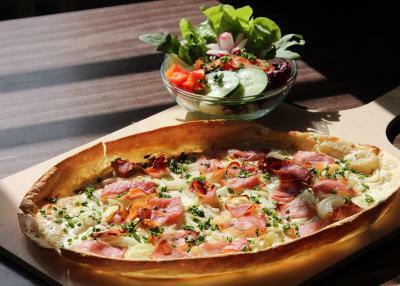 Healthy meals and regional German cuisine are served in the hotel’s bright café. 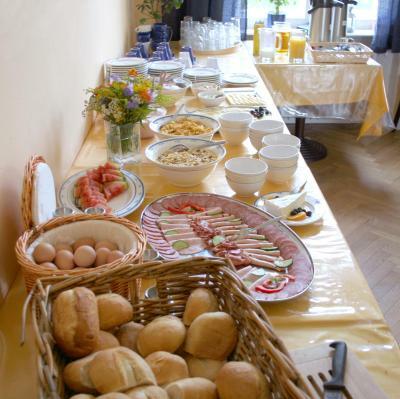 During the summer guests can enjoy their meals out in the garden, where barbecue facilities are also available. 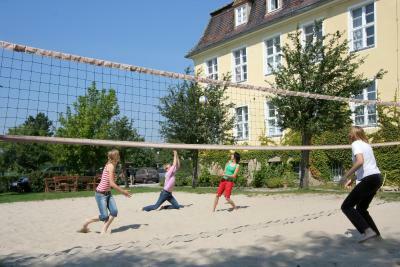 A beach volleyball court and table tennis facilities are provided for guests’ entertainment. 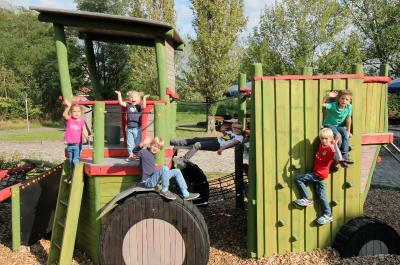 Children will love the well-equipped indoor playroom and outdoor playground. 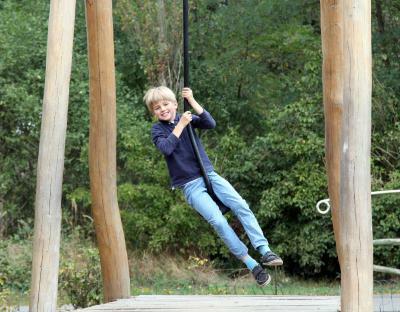 Guests can enjoy daytrips to the Tropical Islands indoor waterpark (17 mi) or the pretty town of Jüterborg. 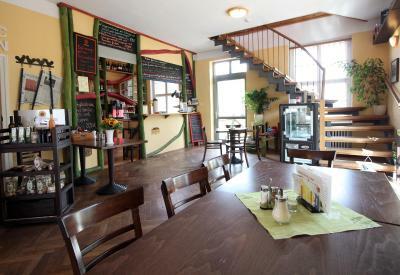 This property also has one of the top-rated locations in Petkus! Guests are happier about it compared to other properties in the area. This property is also rated for the best value in Petkus! Guests are getting more for their money when compared to other properties in this city. 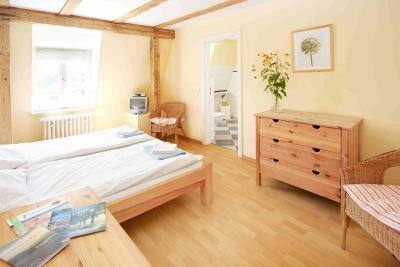 When would you like to stay at Familien- und Freizeithotel Gutshaus Petkus? This spacious twin room offers free Wi-Fi, satellite TV and a hairdryer. The spacious family room offers free Wi-Fi, a seating area and satellite TV. 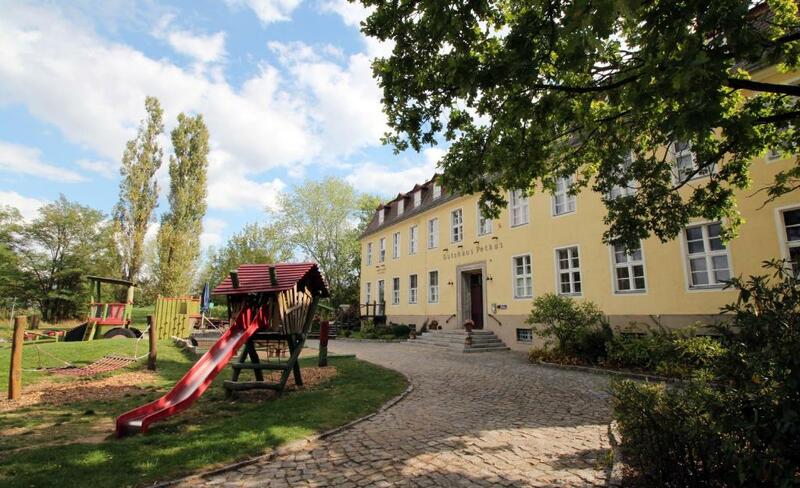 House Rules Familien- und Freizeithotel Gutshaus Petkus takes special requests – add in the next step! 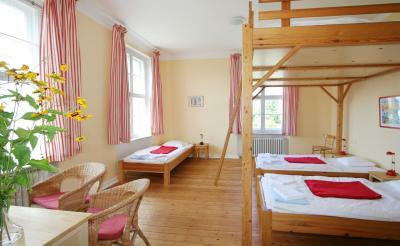 All children from 4 to 17 year are charged EUR 19.50 per person per night for extra beds. Guests arriving between 01 November and 29 February every year are kindly requested to inform the hotel in advance of their estimated arrival time. This can be noted in the Special Request box during booking, or by contacting the hotel using the contact details found on the booking confirmation. The reception is open from 08:00-14:00 01 November-29 February and a check-in is possible from 10:00-14:00. Guests arriving outside of these hours must contact the property in advance in order to receive the key code. In November and December, the restaurant is open Friday-Sunday. The restaurant is closed January-February. When traveling with children please provide the children's age prior to arrival.